Hey Kanakuk Cuties! 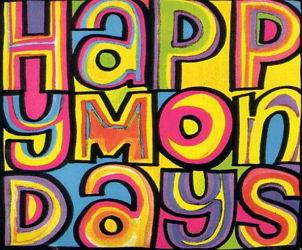 Well, it's Monday....so therefore Happy Monday friends! This weekend was pretty laid back with lots of great family time for Shay & I. We continue to watch a lot of Olympics...I am already dreading not hearing the theme music in my house all the time...I just love it! 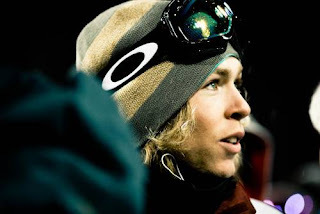 Okay, so last night (well, I think it was last night) Tom Brokaw did a special on Kevin Pearce...Wow!!! I was in tears, surprise surprise, and was in awe of this precious family. I would love to go into great details but basic summation is that Kevin Pearce was a highly favored contender for the Olympic snowboarding team. Kevin actually beat Shaun White in a X-games competition this year. Anyways, during a practice run he had a terrible accident and should not have survived. He did and is daily fighting to make a recovery. Oh the precious mom of Kevin seemed so strong and it just amazed me. So last night...I was in tears over how there are so many stories out there...everyone has a story. Lulu and I prayed for Kevin's family this morning and prayed that they see the Lord each day in the miracles He is doing! * Picture of Kevin Pearce. 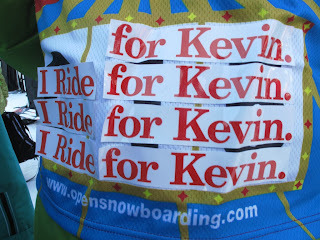 *Some of the boarders have a sticker on their boards that say "I ride for Kevin." 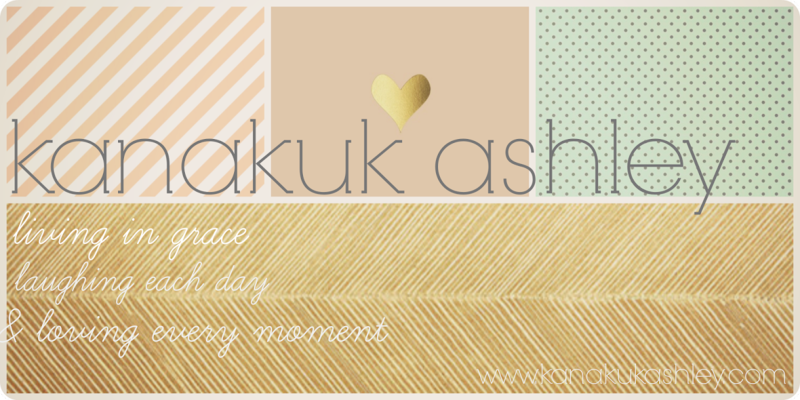 Have great Mondays everyone...Kanakuk Countdown is coming close! Summer please hurry! oh my gosh I was totally crying during that story and I made my family come watch it and then my mom cried with me! If I owned my own snowboard it would totally say I ride for Kevin! !